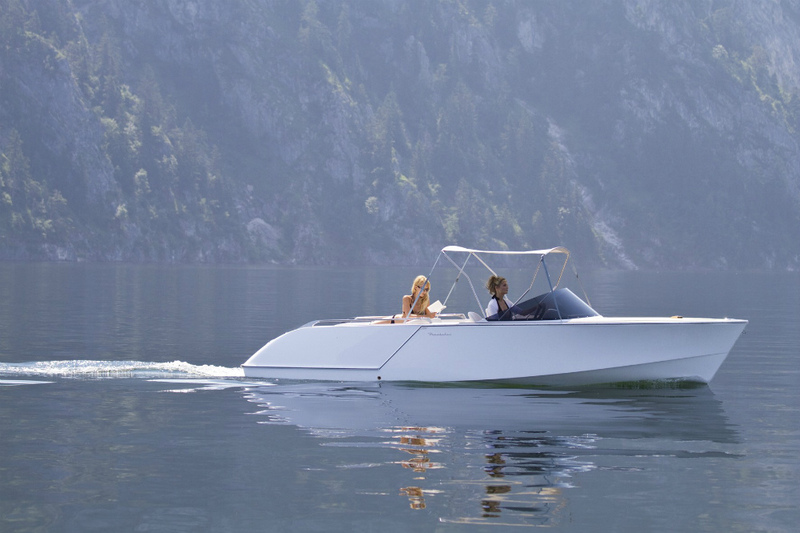 Now in its 90th year, the Frauscher Shipyard in Austria is expanding its product line by launching another spectacular looking day cruiser. 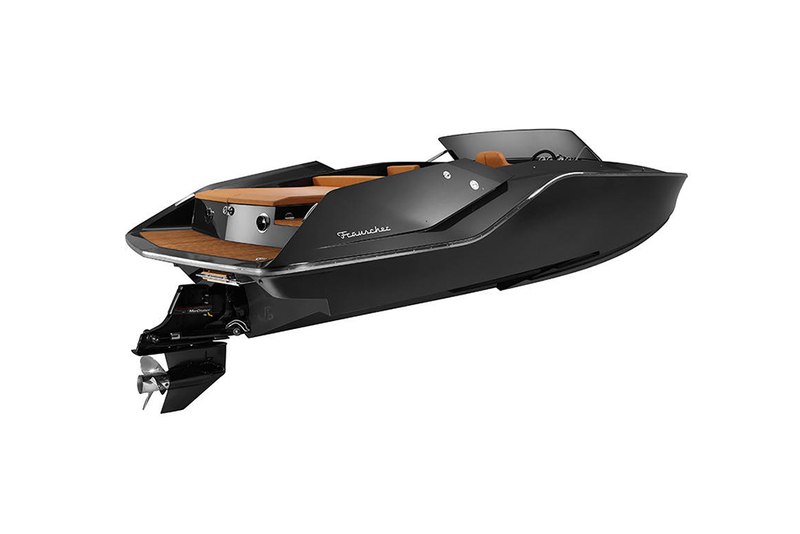 Launched at the Cannes Yachting Festival, the new Frauscher 858 Fantom Air is designed to combine the premium design and top-class handling characteristics of the 858 Fantom closed model, with an even more spacious design and additional details. 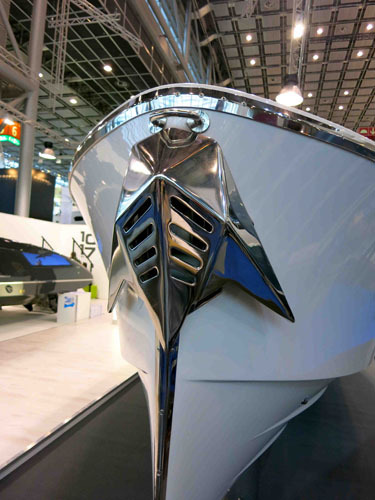 However, like the original 858 Fantom, it is based on Italian and German sports cars and was developed by the same winning trio of designers that brought us that original boat: Thomas Gerzer, the long-time head of development at Frauscher Shipyard; the yacht design engineer Harry Miesbauer, who is responsible for the hull design; and the renowned design partner KISKA. Naturally then, it follows a lot of the same design ideas. 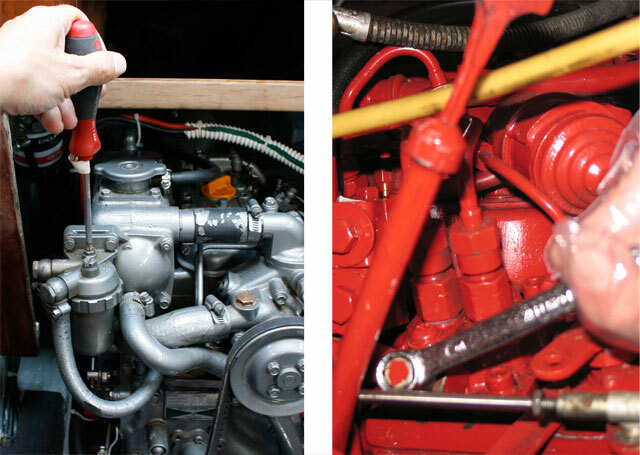 For instance, it might be an open boat but as on the widely acclaimed 858 Fantom, nothing here is permitted to interrupt the natural flow of the lines. The grab handles for the two forward-facing seats at the aft end of the central cockpit accommodation are tucked neatly inboard on their own dedicated mountings; the windlass-equipped anchor (in classic Frauscher style) is wrapped almost flush around that lovely vertical stem; and the telescopic aft ladder is tightly integrated into a swim platform that forms an organic part of the whole. 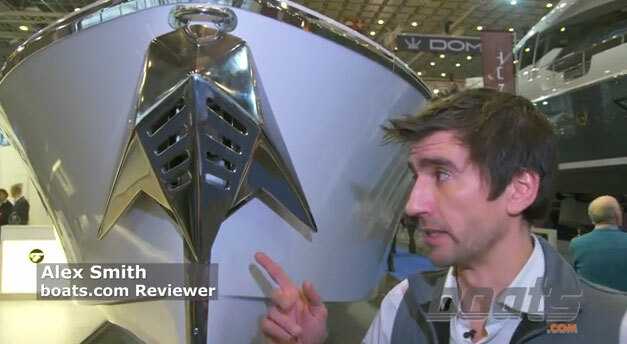 Take a closer look in the First Look Video we filmed at the show. 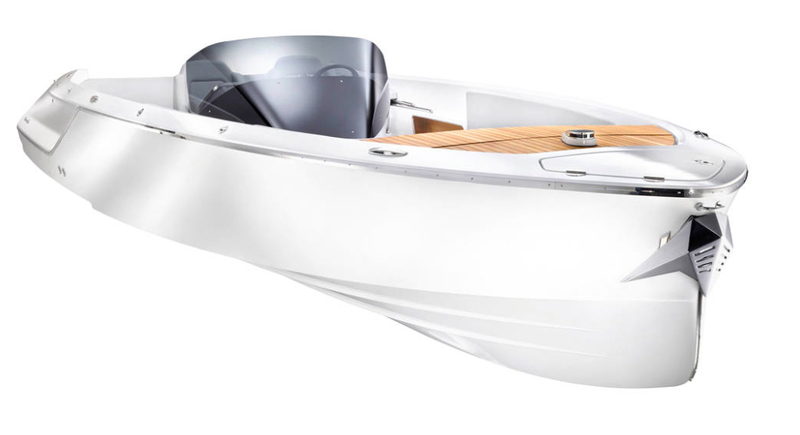 In terms of practicalities, the new boat feature an unbroken teak walkway from the big aft platform to the self–contained central cockpit, where the helm station is equipped with a pair of helm seats and orbited by a wraparound deck that takes you forward to a convertible sun lounger, seating area and dining station in the bow. The layout majors on ease of movement and lounging space and to help male the most of that, it also comes with a pair of Bimini awnings, one fore and one aft, that can be opened within seconds. 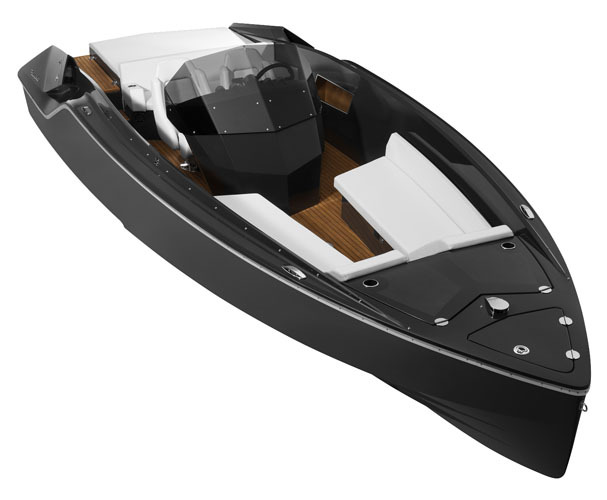 See Frauscher Boats for more. 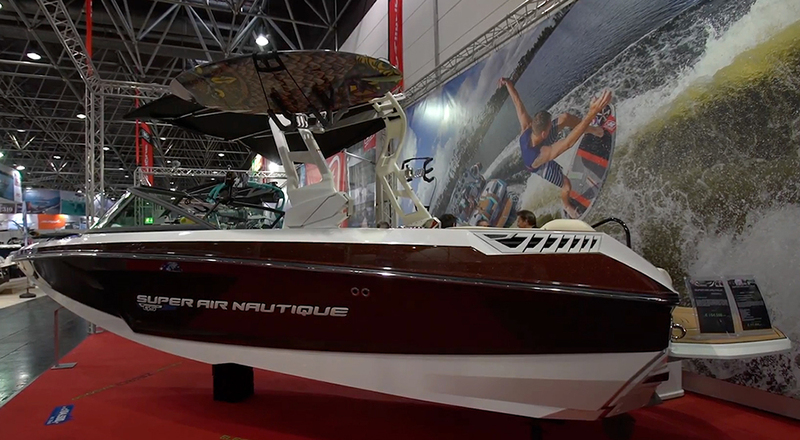 Frauscher's new Air is an open day boat variant of the original 858.